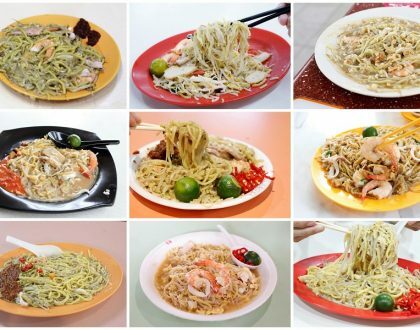 Flavour Flings in Singapore followed suit, and met with resounding success. Sold out in half an hour. When such things happen, businesses will go with the flow (pun intended). Both the good and the copycats. The first always stand at an advantage. So it’s either you do it better, or sell it cheaper. Available at the Penhas outlet starting 1st February, the salted egg croissants will be available at the remaining outlets (Mandarin Gallery and Sofitel) come 10 February 1pm. Each bite into the crust was filled with a crunchy and buttery sensation. The liu sha mix is made with real, natural salted egg yolk, sugar and milk to produce a smooth and flowy texture. 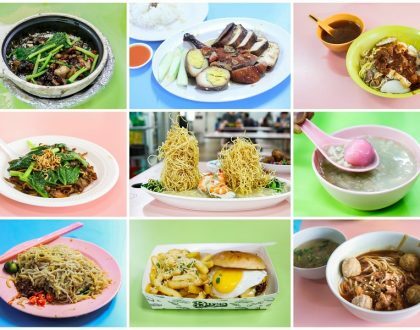 Probably the best in Singapore so far. 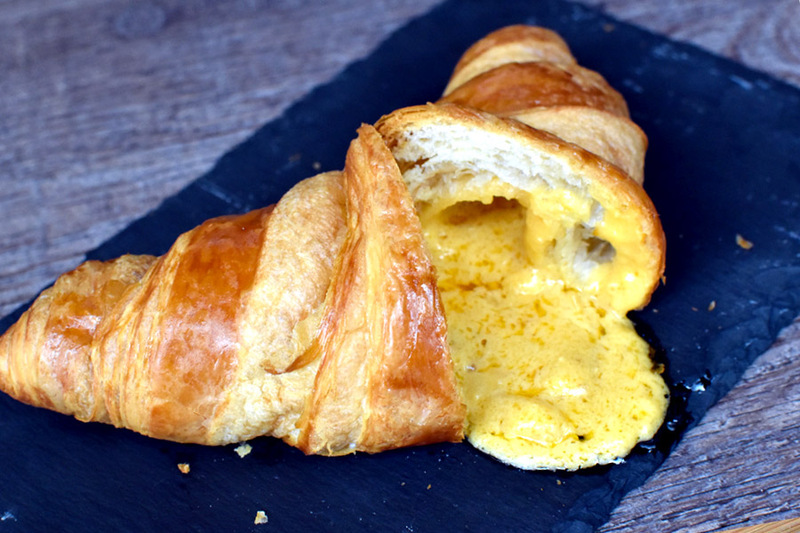 Flavour Flings can be said to be the first shop to release Salted Egg Croissants in Singapore. Demand was so huge that the croissants were sold out in half an hour. Currently, these croissants are only available as takeaway (no dine-in) from Mondays, Wednesday to Saturdays 5:30pm till while stocks last. 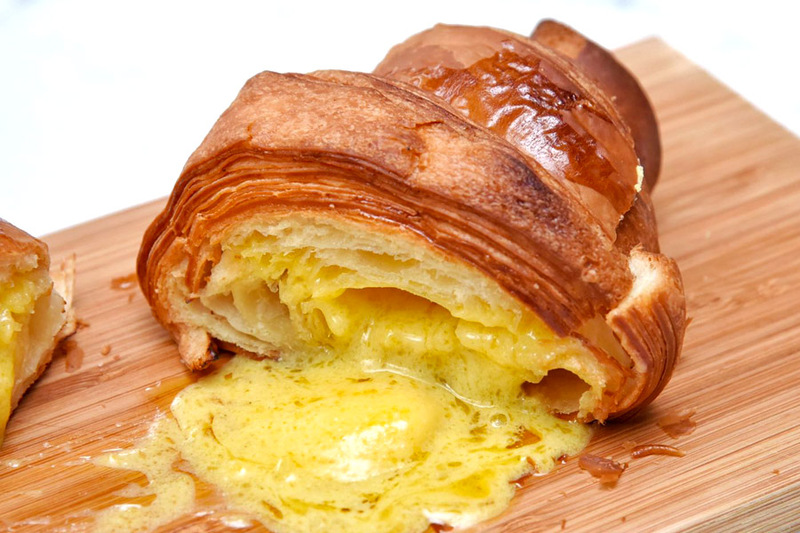 $7.50 for a Salted Yolk Croissant? Hmm, probably a tad expensive. The croissant bought from a supplier, though flat, was still rather crispy, buttery and flaky. Fillings were to the sweeter and milkier side, and could do with more of the sandy salted egg component. Black & Ink had a Salted Egg Yolk muffin. 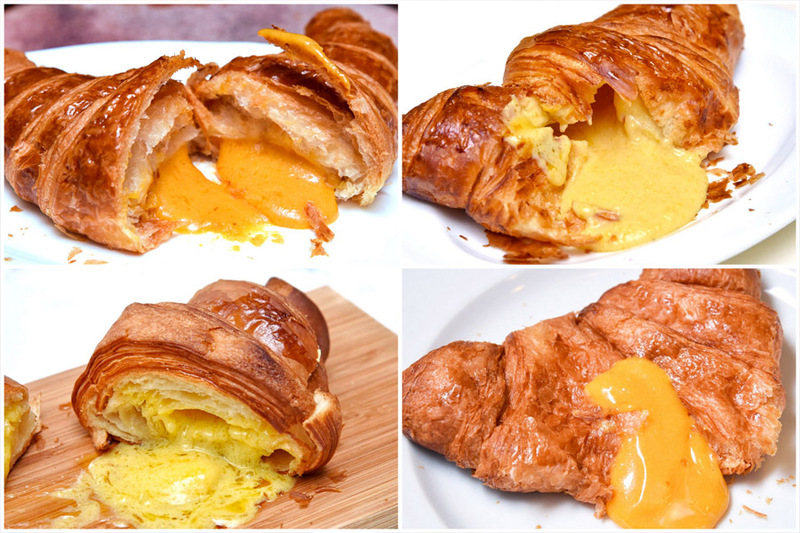 Moving to Salted Egg Croissant seems like a convenient and logical move. 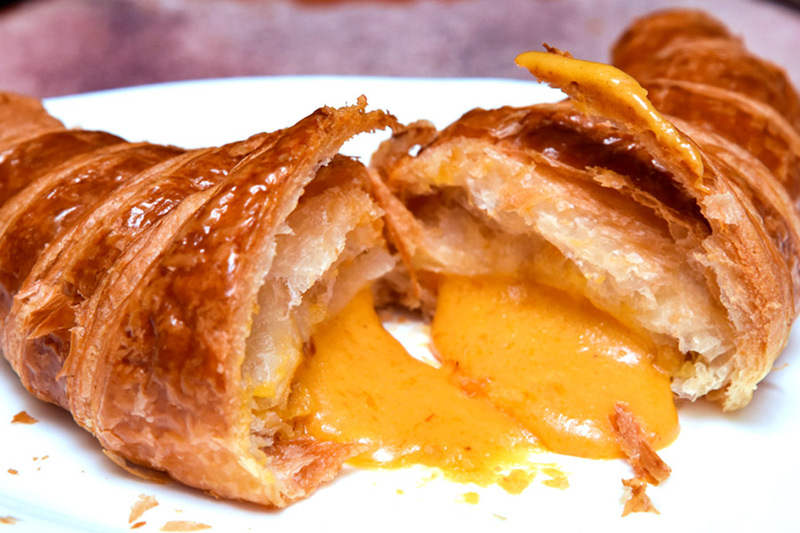 The salted egg yolk filling is injected into the croissant instead. While we thought that the inside was acceptable, the croissant was unfortunately dry, doughy in the centre. The two felt like an unfortunate couple forcedly brought together, just because the rest thought that there were compatible. As the common saying goes, “勉强是没有幸福的.” Some love cannot be forced. It tasted like the salted egg sauce used in zhi char stalls but with a sweet slant, and the entire combination ended up tasting weird and unpleasant. 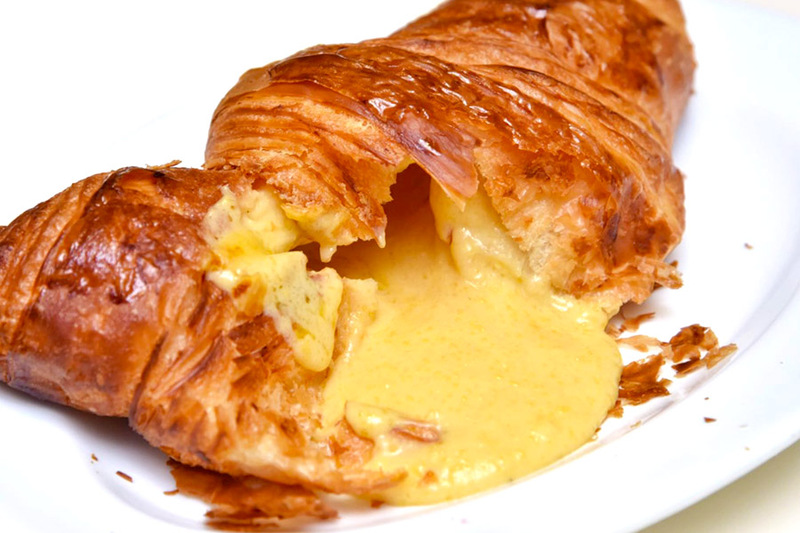 Another commented that she would rather call this Cream of Chicken Croissant, not in a good way of course. 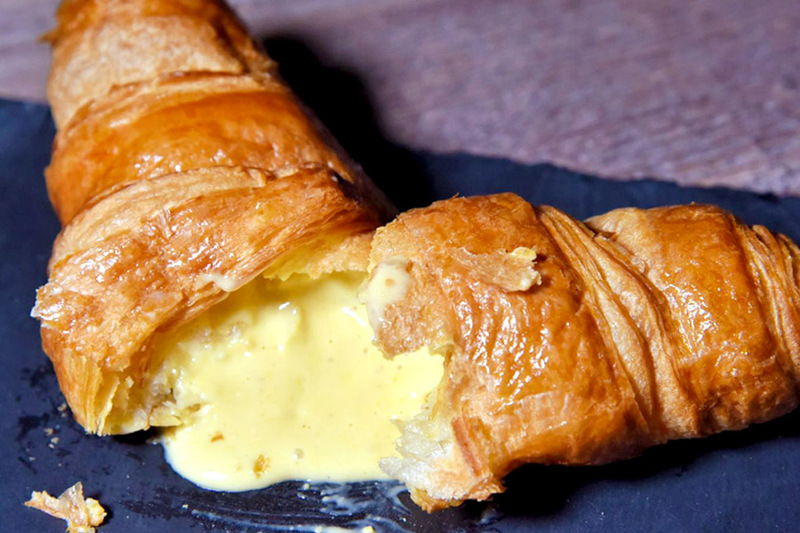 Modern restaurant Bridge has introduced both a Salted Egg Lava Croissant ($5.90) and Truffle Custard Croissant ($6.50). 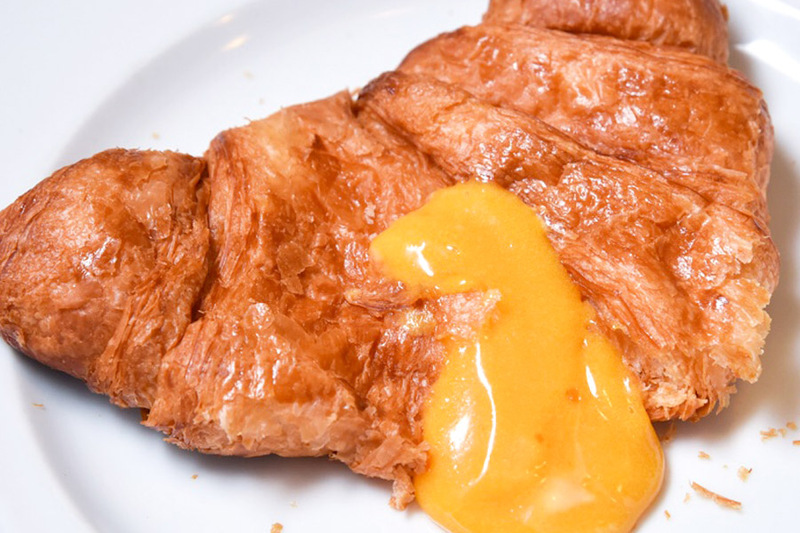 The croissant itself was unfortunately one of the weakest, neither crispy nor flaky enough. The price at the current $5.90 is the cheapest in comparison, though considered much smaller in comparison. The inner salted lava tasted more buttery, without an obvious savour of the salted egg yolk. Some bridges are not meant to be crossed. 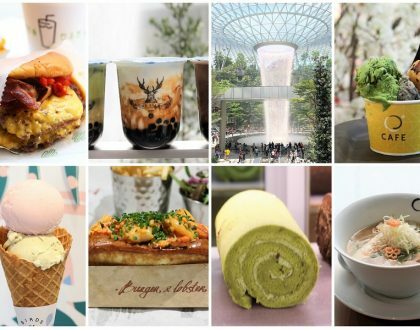 We make a bold prediction that it won’t be long that we find at least 10 places in Singapore selling Salted Egg Croissant. There is something called the bandwagon we all love to jump. And why do we get this strange feeling that even BreadTalk will end up selling as well one day. Who knows.